EVERYBODY USES Sticky Notes! 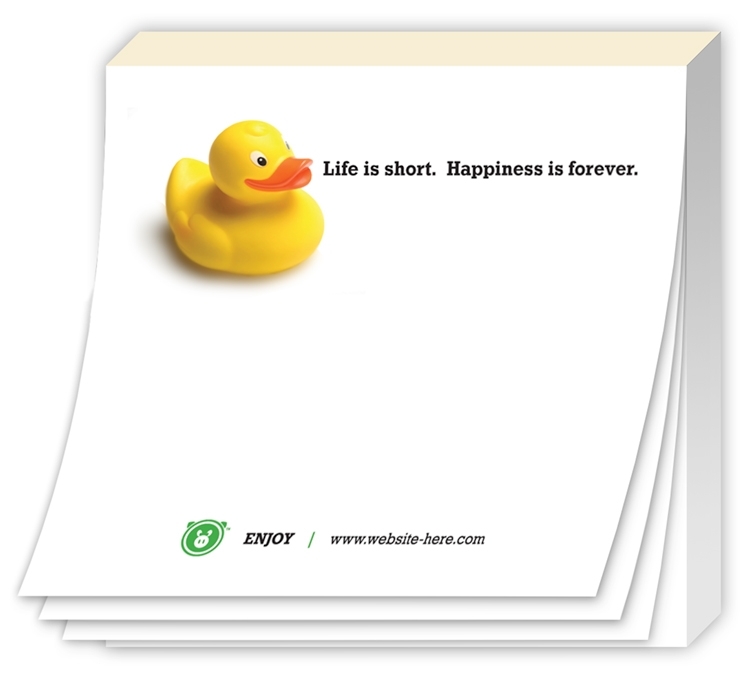 Grocery lists, notes, messages and reminders will be written on your 100-Sheet Adhesive Pad. Pricing includes printing in full color on the front of each sheet. Material of sticky note pad is 50 lb. offset.